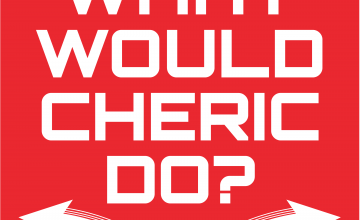 October | 2017 | What Would Cheric Do? A few moments from now in a galaxy far far away, there were two men living on a planet with two suns whose destiny was about to unfold in front of their very eyes. Cheric learns what it means to give sacrificially in support of a cause, to rebel against those who oppress them, and to become something….greater. Remember how last episode we said there are moments that mark our lives, moments that change everything and that everything before has been leading toward? Our ultimate destiny? Well, we lied. It’s actually this moment, not that last moment. This is the real one. The defining hour, the creme de la creme, the… you get the picture.